All subwoofers are the same aren’t they? XLR or RCA – which is better? The MJ Acoustics Radial chassis versions of the Reference series subwoofers make special use of the properties of long-stroke, ultra-rigid alloy casting radial chassis driver designed by Volt Loudspeakers. Assembled to MJ Acoustics demanding specification with alterations to the cone structure and suspension in the Volt UK factory we are able to make use of a very special transducer design that provides the longevity and reliability for heavy use in large Home Theatre installations. The front of the chassis is designed with a radiant support skeleton and reinforcement providing the stability and high mass structure for thermal heat dissipation of this design. 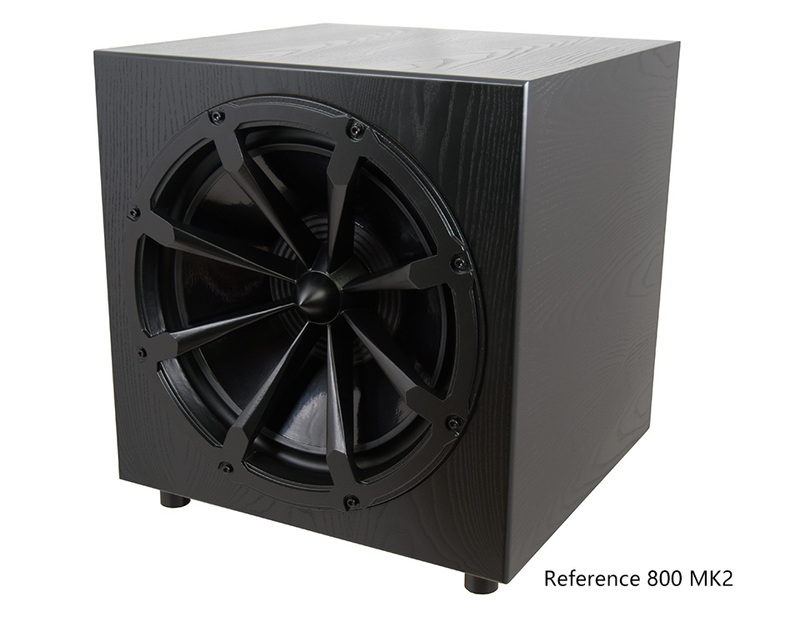 The stability of the design also improves the heat dissipation of the voice coil. 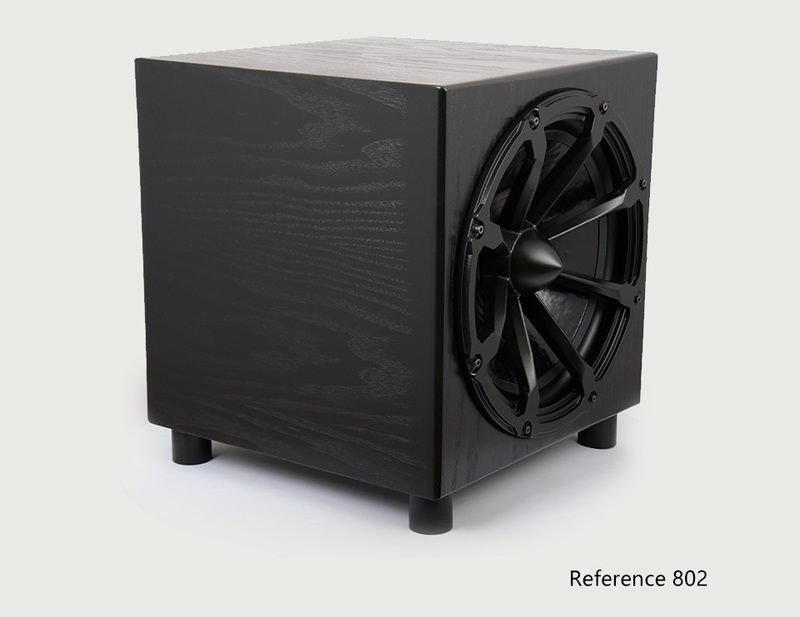 The diaphragm of the Radial woofer uses a paper fibre material with excellent toughness, which ensures stability under continued and prolonged heavy dynamics. Heat dissipation is the key factor for the Radial chassis design and the definition of Radial technology referred to by other users of this chassis type. 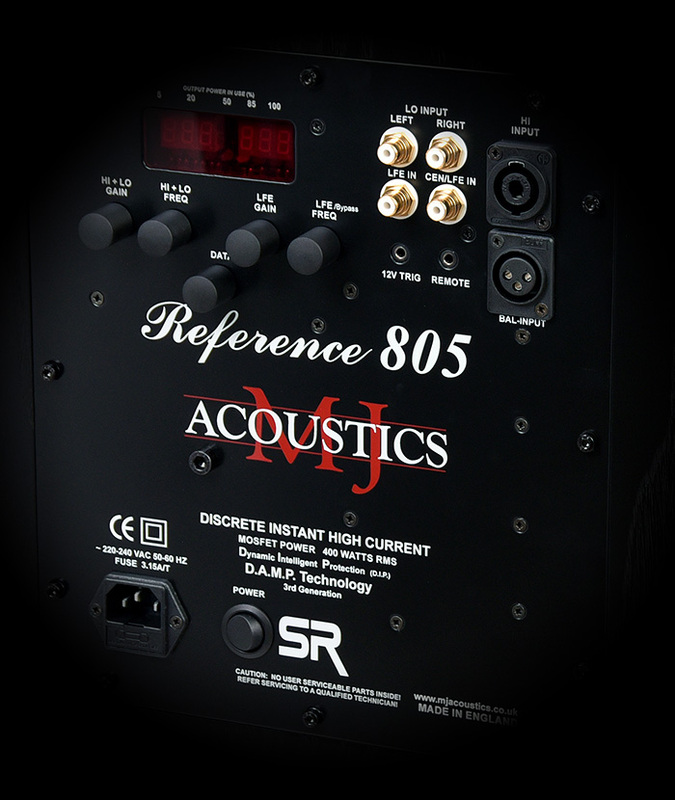 For MJ Acoustics the thermal benefits of this driver design are just the starting point. 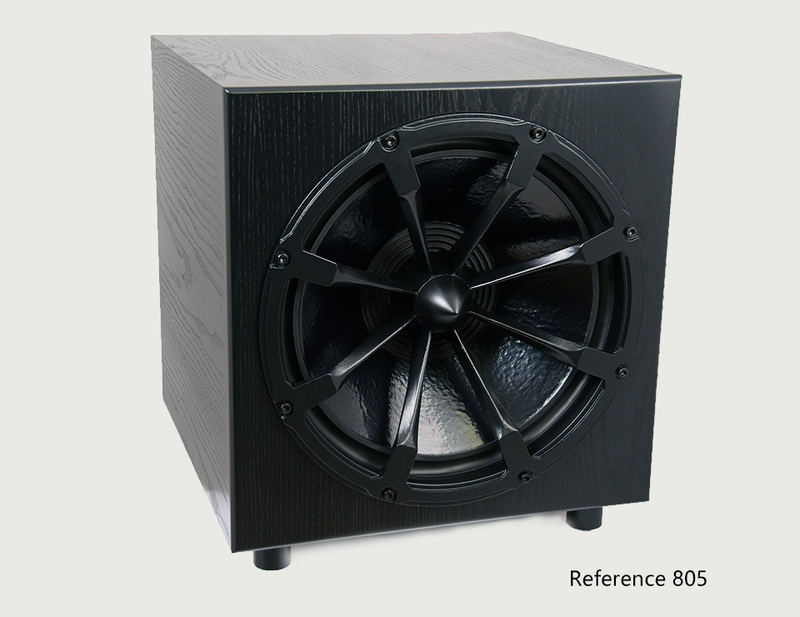 The use of the purest materials for magnet and metalwork along with modern glues and exacting assembly techniques provided by Volt loudspeakers mirrors our own driver assembly line and we know from long-term use of the 18″ version, housed in the Reference 800Mk2 since 2005, that reliability is factual. The 802, 805 & 800 all make use of the Radial chassis design and together with our very special Discrete Instant High-Current Class A/B power amplifier stages and cleaver audio filter circuits controlled by the latest 3rd generation DAMP provides the muscle to underpin the largest of room installations. Twin Crossovers, Multiple inputs including Balanced XLR, High-Level & Line-Level Gold Plated RCA connectors provide the entry for the highest quality source signal. Setup is very easy and provided for from the unique “Smart Remote” APP for Android and iOS. There are also controls for the manual input of settings on the rear panel and these settings can be stored in memory for recall later. Up to 4 stored different settings can be recalled at the touch of a screen icon or button on the rear panel. When the soundstage is Right it just sounds Real! © MJ Acoustics 2019. All Rights Reserved.